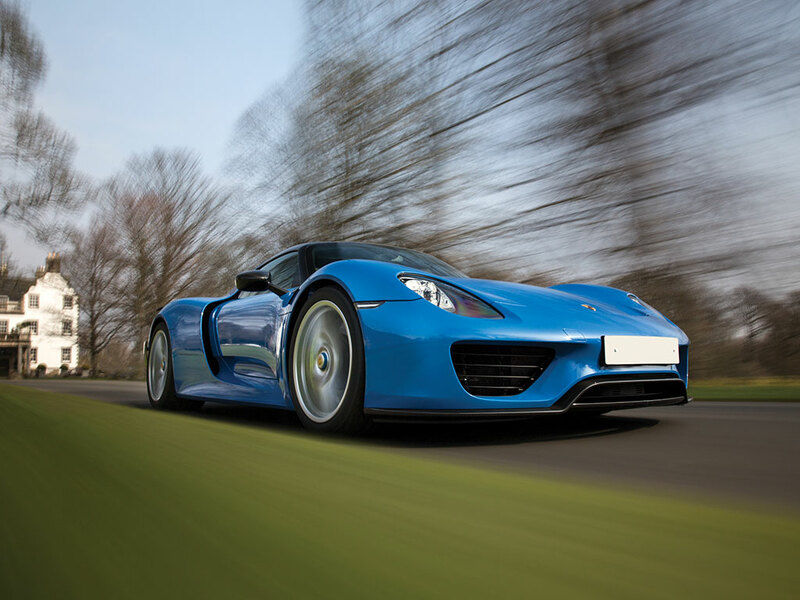 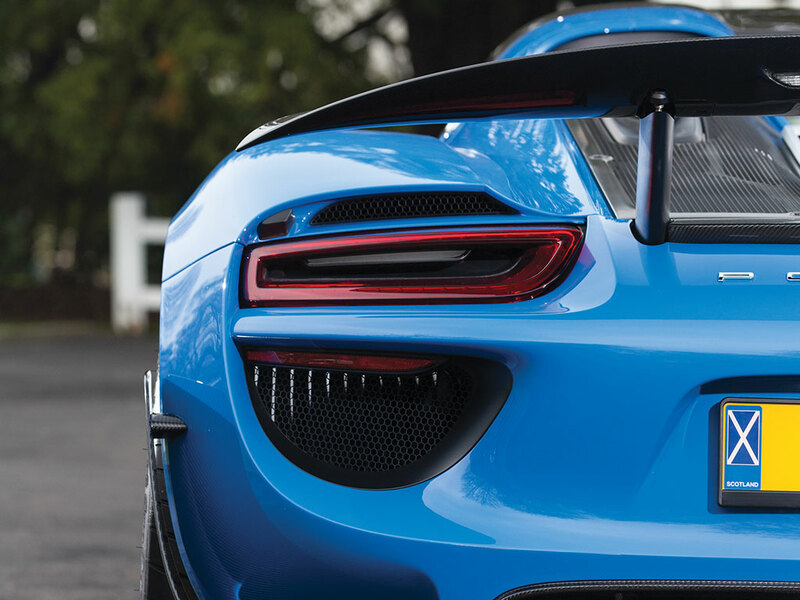 Next month the world’s only Porsche 918 Spyder originally finished in the historic ‘Arrow Blue’ will be auctioned by RM Sotheby’s at Villa Erba. 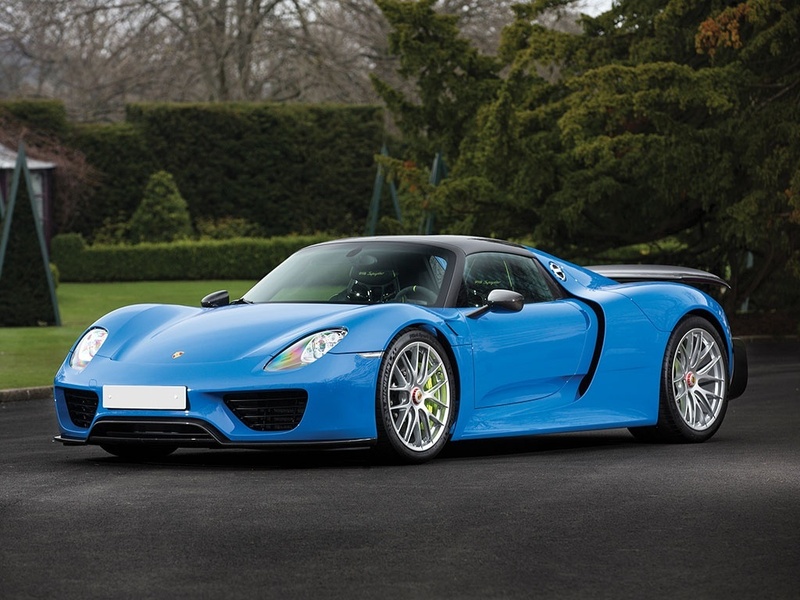 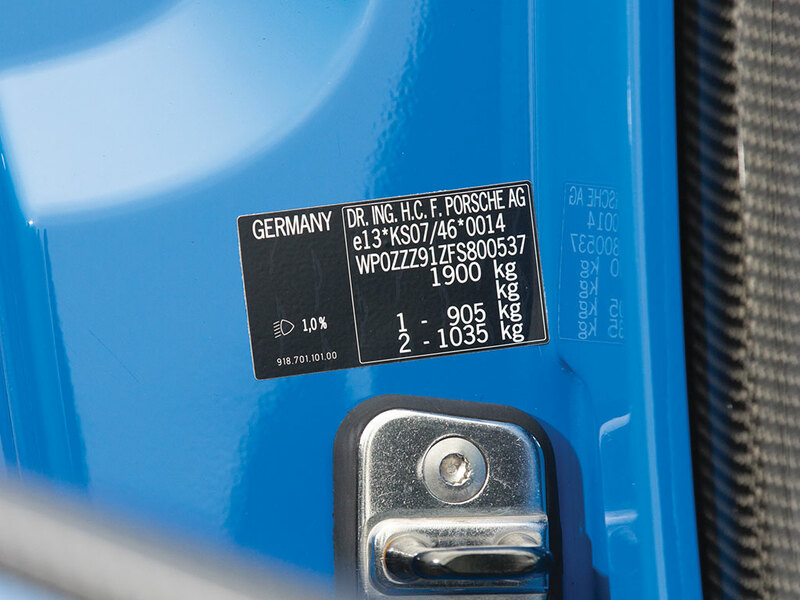 This 2015 model sports the Weissach package and is in great condition. 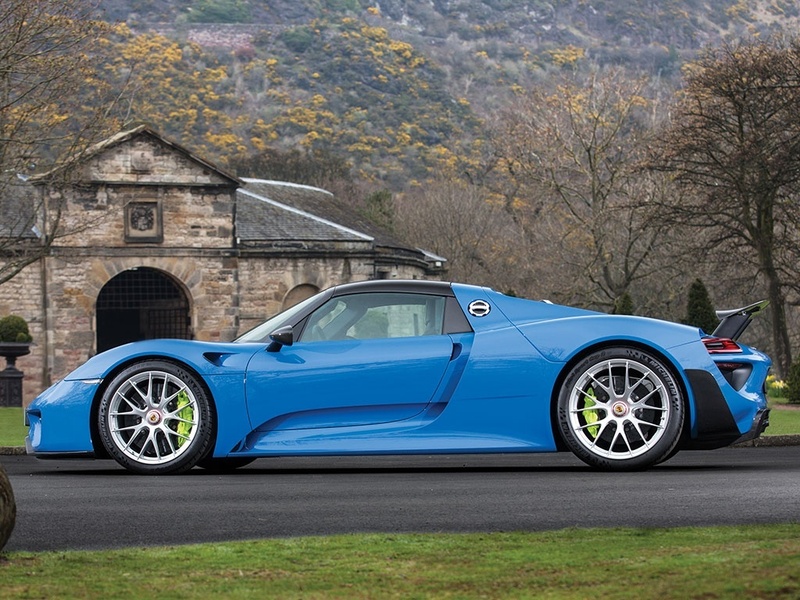 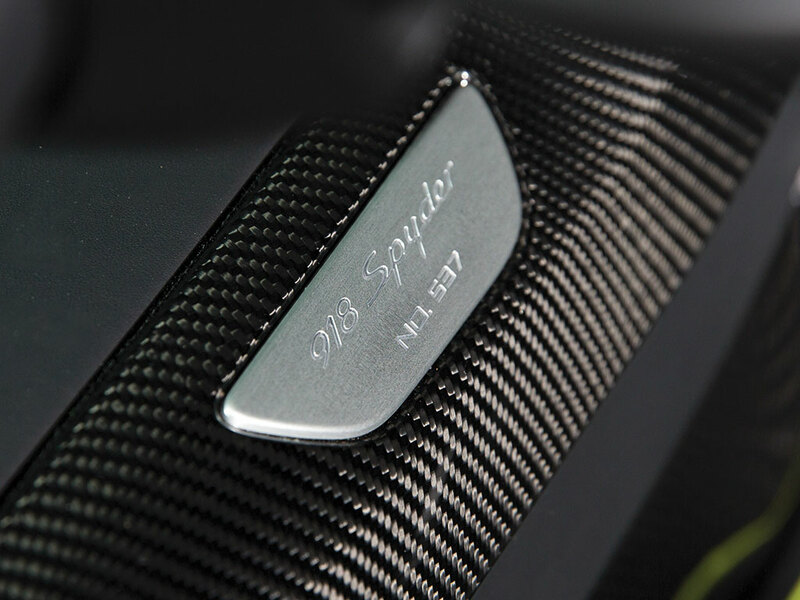 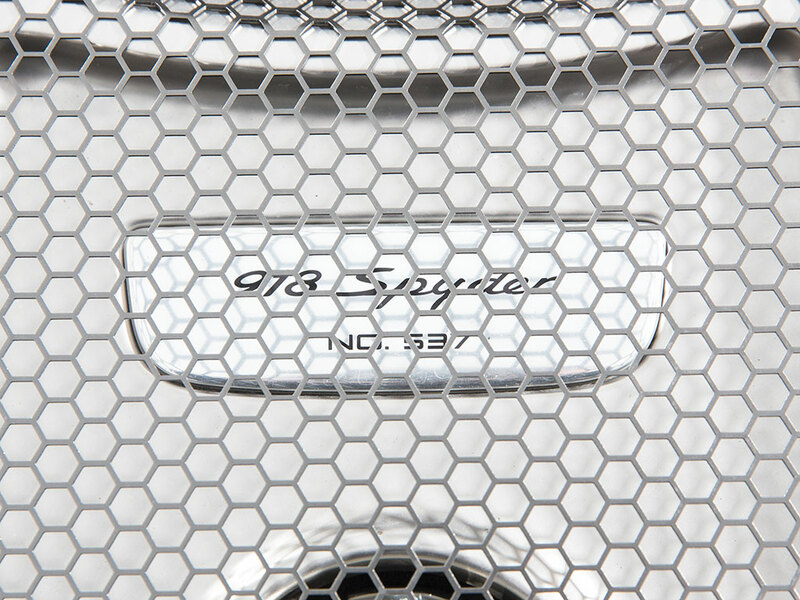 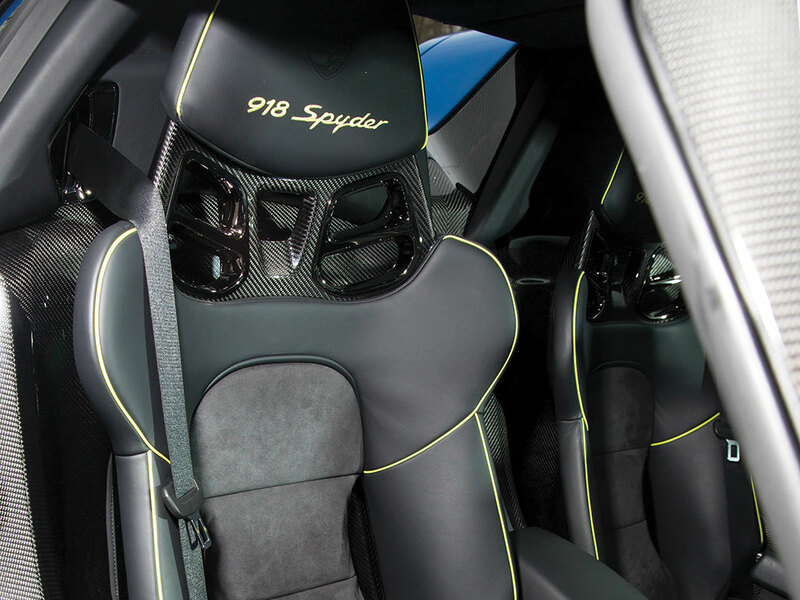 The single ownership 918 Spyder has only 11,000 kilometers (6,800 miles) on the odometer and was recently fully serviced. 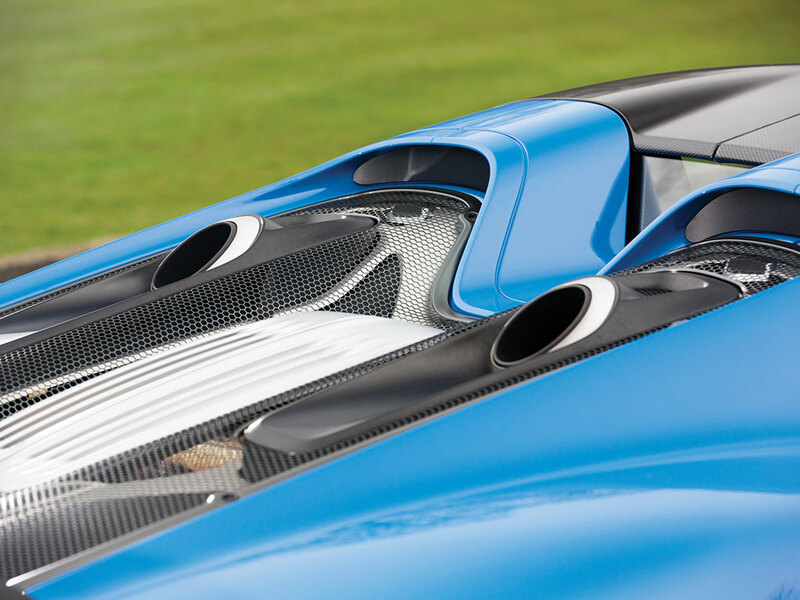 The extraordinary paint to sample Arrow Blue forms a delicate ensemble together with the black and carbon fiber exterior highlights. 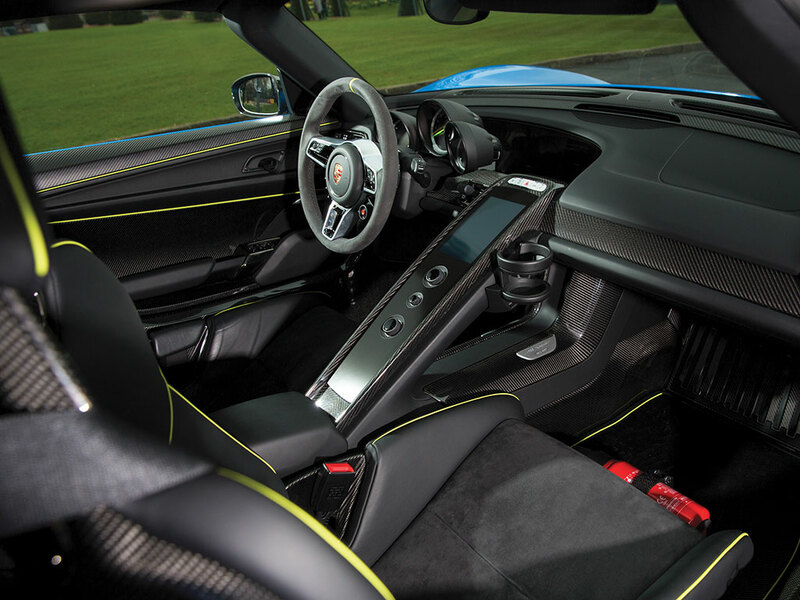 the interior is a blend of black Alcantara and the well known acid green highlights, which also color the car’s brake calipers. 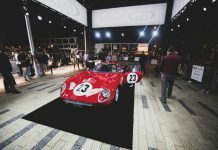 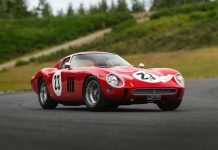 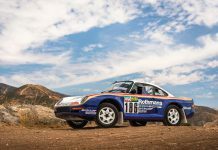 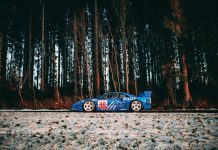 Part of the extreme Weissach package are the replacement of various aluminum parts by lighter carbon fiber and the installment of light weight magnesium wheels. 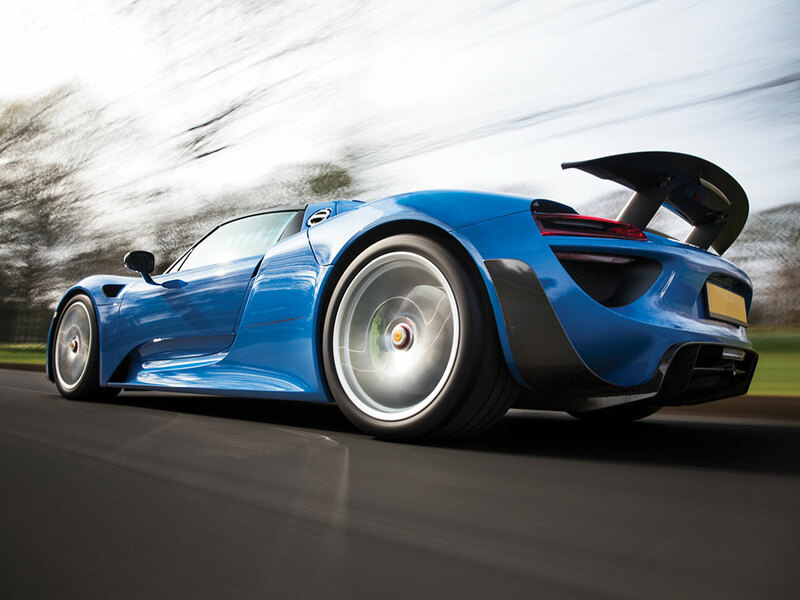 Altogether the Weissach package sheds another 45 kilograms off the hybrid hypercar, making it faster than ever. 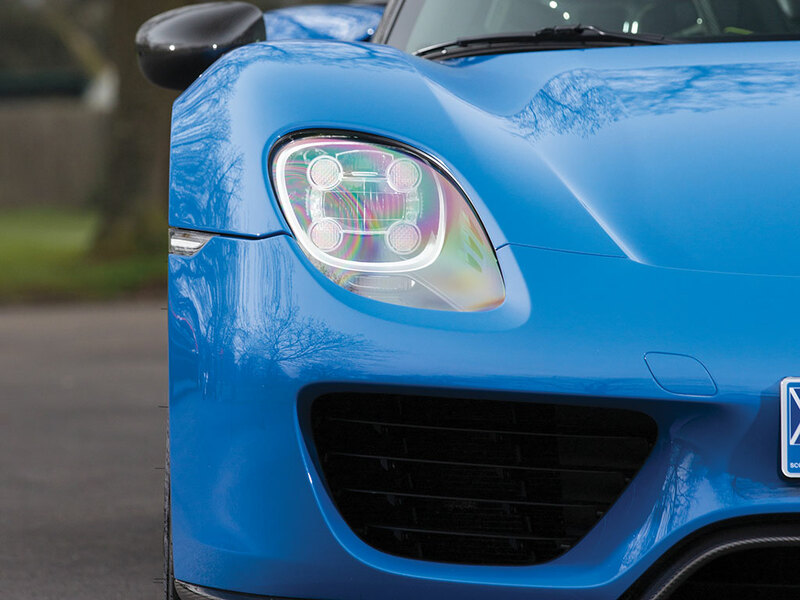 According to the servicing books the previous owner took good care of the exquisite Porsche, which has recently been fitted with brand new tires and has a paint protection film to keep that unique Arrow Blue in pristine condition. 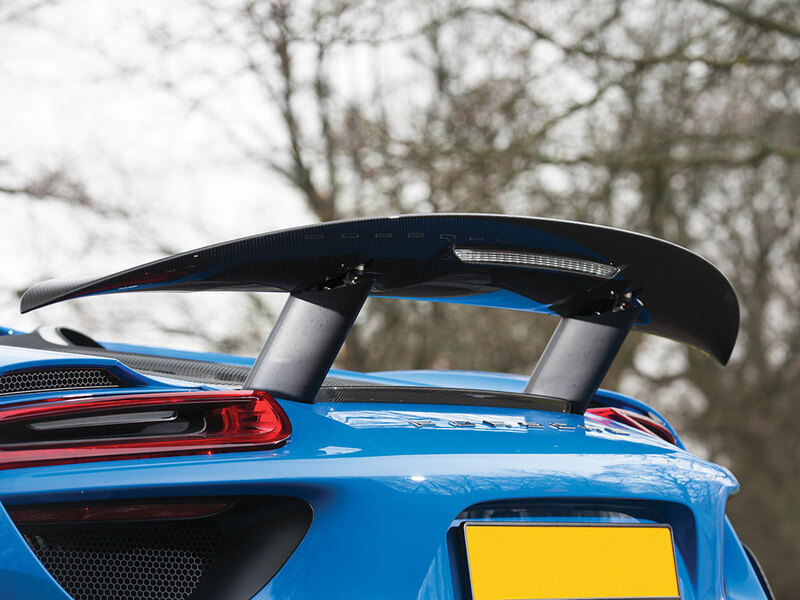 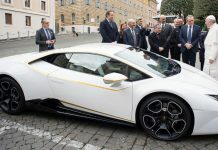 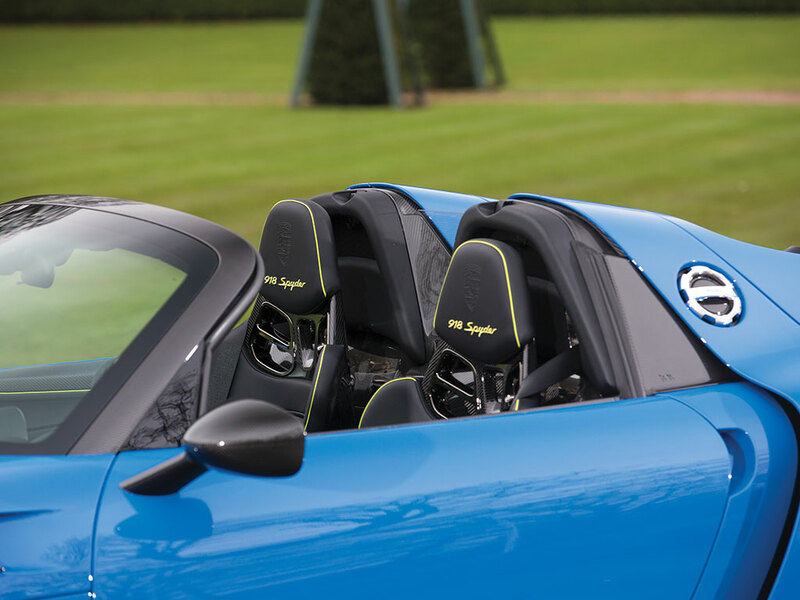 If you are interested in bringing out a bid on this rather intriguing Porsche 918 Spyder, make sure too keep an eye out for the RM Sotheby’s Villa Erba auction taking place on the 27th of May.